The single most innovative wearable of all time has to be Google Glass. Yeah, I said it. And it's true. If you read the tech blogs, you'd be forgiven for believing that Google Glass is a failed product, dead and gone. But in fact, the opposite is true. The Google Glass Explorer program succeeded wildly. Google is feverishly working on new kinds of Google Glass products, and the innovation around Google Glass never stopped. Wait, what was Google Glass again? On April 15, 2013, Google launched its Explorer program for Google Glass. It was a kind of unique beta program set up not only to test the product but also to find out what people might do with it. The smart glasses cost $1,500. (Some, including me, believed that the high price was in part to keep away casual, nonserious users. High cost was a feature, not a bug.) For most of the Explorer program, Google Glass was available by invitation only. While Google Glass was slammed for being unpopular, Google had, in fact, worked hard to keep the number of users small. Google Glass runs on an operating system called Glass OS, and most of the components inside are similar or identical to smartphone parts. Glass has 2GB of RAM and 16GB of flash storage, plus a camera, a microphone, an accelerometer, a gyroscope and an ambient light sensor. But Google Glass also has unique parts, like a 640-×-360-pixel prism projector that beams the screen into the wearer's right eye. A touchpad on the right side enables gesture control, and you can take 5-megapixel pictures by winking. It also captures video. On Jan. 15, 2015, Google announced that it would end the Explorer program and move the Glass operation from the Google X lab into a product development group. Google is even still actively providing free tech support to Google Glass users. Google! Providing tech support! In fact, Google Glass is one of the most exciting pre-products in the history of technology. Even the discontinued test version is the foundation of multiple revolutions in science and industry. The actual Google Glass products will probably dominate the future of wearables. Forget the tech press's false narrative around Google Glass. Here's what's happening with one of the most revolutionary products ever. Airplane and aerospace giant Boeing is using Google Glass to help the people who make airplanes. Glass solved a problem that Boeing had for years, which is how to streamline the connection of aircraft wire harnesses, a process that normally required massive amounts of paperwork. Now, airplane assembly workers get needed information hands-free using Glass's voice-activation feature while they use their hands to do the actual construction. Boeing is also looking into the use of Google Glass on the International Space Station. Doctors and surgeons of all kinds are using Google Glass to record procedures, access medical information hands-free and consult with specialists. Glass is so popular in the medical community that a San Francisco-based digital health startup called Augmedix is offering a Glass-based medical note-taking service for use while examining a patient. The company claims that hundreds of doctors are using the service. Stanford University is reportedly conducting groundbreaking research into helping people with autism read others' emotions using Google Glass. Called the Autism Glass Project, the study is testing a special Google Glass app with children ranging in age from 6 to 17. The app uses facial recognition software to identify the emotions expressed on other people's faces, and then tells the test subject what emotion is being expressed. The idea is to use the Glassware (Google Glass software) to train people with autism so that over time they can identify emotions on their own, without Glass. Study participants also learned to look at people's faces more often and make more eye contact. In England, researchers at Newcastle University have been studying multiple ways in which Google Glass might help sufferers of Parkinson's disease cope better, from improving their walking to helping them understand when they're not speaking loudly enough. Google Glass is being used in one of the world's most successful efforts to stop rhinoceros poaching. The people involved in the project, which is taking place in Chitwan National Park in Nepal, are using a combination of dogs, drones and Google Glass as part of a comprehensive effort to stop poachers and study rhinos. These are just a few of the ways even the beta version of Google Glass is being used to change the world. Just wait until Google Glass actually ships! 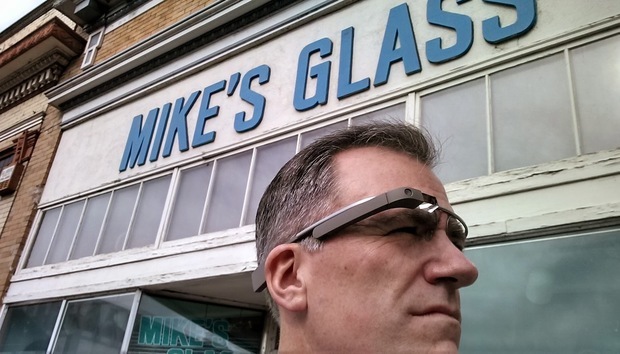 Google is working on a Glass Enterprise Edition for business and industrial use. The Enterprise Edition is similar to the Explorer edition from the beta program, but the eyewear has hinges, so the Glass hardware can be folded like regular glasses. It also has a different kind of connector that has been compared to Apple's MagSafe technology. It also has a prism unit that presumably shows a larger screen than the beta version. A prototype of the Explorer edition even showed up on eBay earlier this year. It was being sold by a San Francisco pawn shop. It's a no-brainer that companies will use Google Glass and other smart eyewear technologies -- even some Glass critics acknowledge that. But Glass is also coming to the consumer market. Patents don't always reveal what types of products companies will actually ship, but Google's many Glass patents suggest ideas and directions. Last week, a new patent emerged showing a future version of Google Glass with some new features. One is the option to use standard rechargeable or disposable batteries -- AAA, AA or 9-volt. This would be valuable for people using Glass far away from electrical outlets, or without the time to charge between uses. The battery options sound to me like a stopgap to solve the problem of Glass's short battery life until better battery technology can be developed. The same patent also shows a redesigned headset that may be more comfortable to wear. This is only the latest of many Google Glass patents that have emerged since the Explorer program. With its Glass initiative, Google pioneered and popularized the use of smart glasses, and the effort is now having an impact in other markets. The U.S. women's track cyclists won a silver medal at the Rio Olympics. One of their advantages was Google Glass-like Solos smart cycling glasses, which they used for training. The special sunglasses feature heads-up displays that provide real-time stats, so the cyclists can track their performances without taking their eyes off the road. Heads-up displays that work similar to the Google Glass version are coming out for all kinds of sports, including skiing and scuba diving. The consumer market will be affected as well. One of the best uses of Google Glass was the camera, which you could activate with a button, a touchpad or a voice command, or by simply winking your eye. A product now being crowdfunded in Japan called the Blincam emulates that feature. The Blincam itself is a camera that clips on the side of a pair of regular glasses or sunglasses. When it detects a blink, it takes a picture, then uploads it to your phone via Bluetooth. The company plans to demo the product for the first time at TechCrunch Disrupt in September and sell it on Amazon and elsewhere next year. I believe the experiential live video trend I talked about recently in this space will drive huge demand for eye-level cameras, including consumer versions of Google Glass as well as copycat products. When the Pokémon Go craze hit last month, I heard a lot of chatter about how great it would be to play Pokémon Go with Google Glass. And so it would. More to the point, Pokémon Go is popularizing and mainstreaming mixed reality. This makes the consumer world safe for Google Glass again. Although Hololens and Magic Leap will no doubt provide a much higher-resolution experience for mixed reality, the arrival of these products in mobile versions at affordable prices is many years in the future. The bottom line is that the Glassholes were right and the naysayers were wrong. Google Glass is already changing the world. And it hasn't even shipped yet.